About Us | S.Worrall Plumbing & Heating. Local to the Leighton Buzzard area, S.Worrall Plumbing & Heating has an enthusiastic approach to all work whether its gas, plumbing or heating. Focusing on customer service, value for money and a huge wealth of experience to overcome any obstacle or problem you might need solving. I predominately work as an individual however I will partner one or more equally professional and reliable plumbers for larger jobs. Choosing a plumber can be a daunting task if you don’t have a recommendation or already know one from a previous experience. S.Worrall is an honest, reliable and trustworthy source of advice and information in a trade that is quite often shrouded by mystery, complicated systems and jargon. S.Worrall Plumbing & Heating can instantly put your mind at ease with a straight talking easy to understand approach to work, we will work together with you to find the best solution to any gas, plumbing and heating problem you can throw at us. 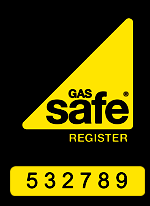 I am a City in Guilds, level 3 fully trained professional plumber, gas safe registered to work, service or install any gas appliance and certified to work, install or service any unvented hot water storage cylinder with full public liability insurance. Here at S.Worrall Plumbing & Heating we go a long way to make sure every possible aspect is covered. I want to offer the best continuing service possible, all plumbing work should be maintained over time and I want to work with you to grow a trusting relationship so you will come back and use me for all your gas, plumbing and heating work. I use only the highest quality products and materials. My work carries a guarantee which is valid for 12 months from the date of the work completed. Note this is a guarantee for faulty workmanship only, parts and materials supplied by S.Worrall Plumbing & Heating are covered by manufacturer’s' warranties.